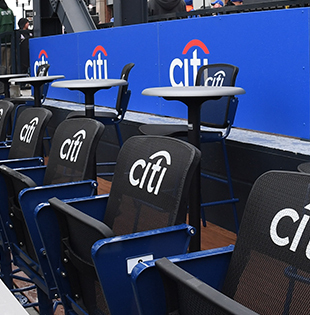 With Citi Perks, you always have the home-field advantage. 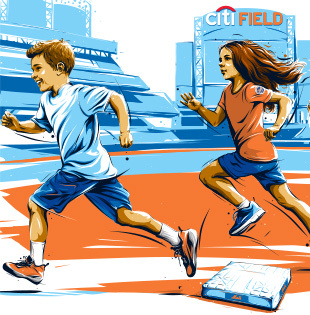 Citi® credit card and Citibank® Debit Card customers can catch amazin’ Citi Perks at Citi Field® all season long. 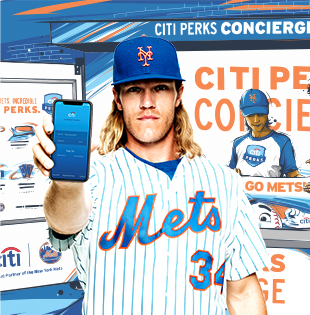 Your Citi® credit card or Citibank® Debit Card is your season-long ticket to perks at Citi Field. 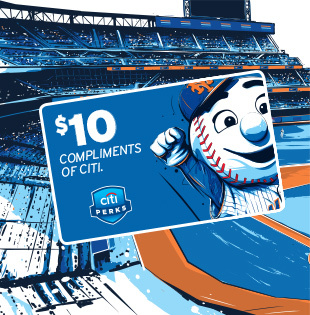 *$10 gift card can be used at Citi Field retail stores and concessions only. 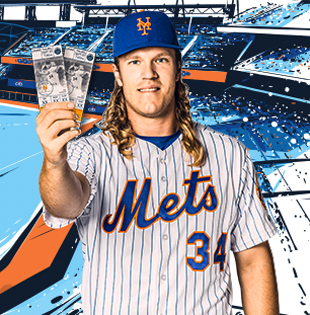 *Select tickets, subject to availability. 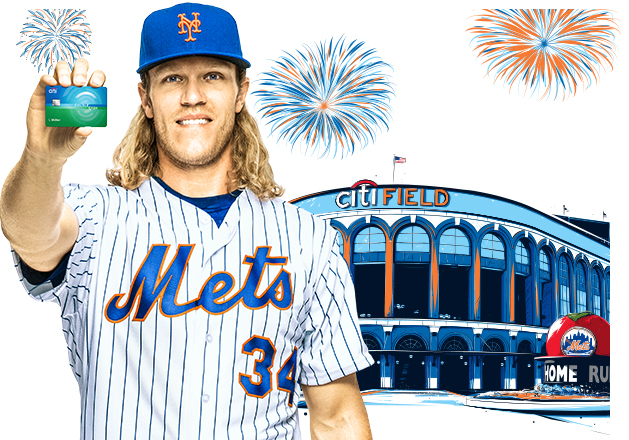 The Citi Pavilion features panoramic views of the field, complimentary drinks, snacks, and more! 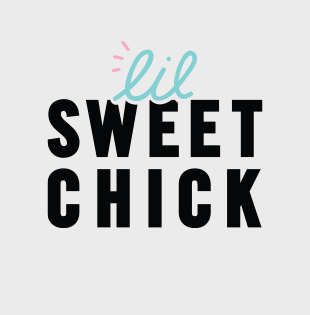 Use your Citi® credit card or Citibank® Debit Card and get $2 off your Lil' Chicken & Waffles at Sweet Chick, all season long. 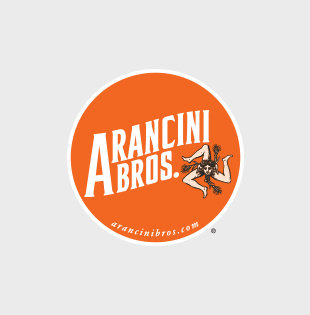 Use your Citi® credit card or Citibank® Debit Card and get $2 off your six-pack order of Arancini rice balls, all season long. 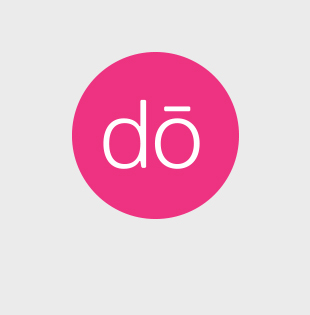 Use your Citi® credit card or Citibank® Debit Card to get $2 off a single scoop from DŌ, all season long. 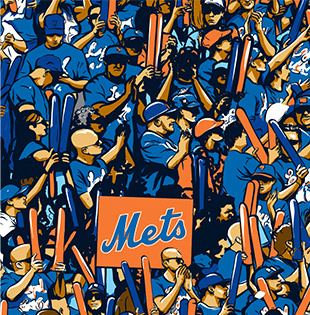 *Giveaways will be distributed until the end of the 2nd inning or until supplies are gone, whichever comes first. Giveaways. Maps. Answers to your questions. 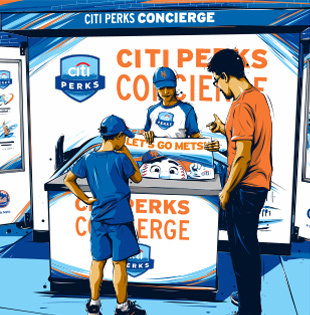 It's all here at the Citi Perks Concierge at Citi Field, located atop the Jackie Robinson Rotunda. *Limited availabilty. 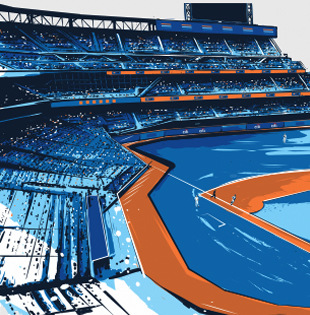 Promotion not available during select Sunday night home games. Here comes the perk patrol! 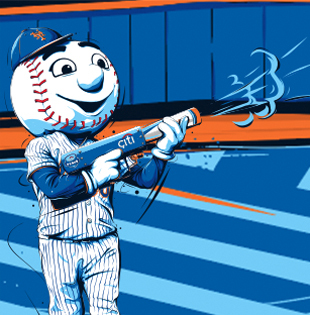 Mets Fans, the Citi Perk Patrol is headed your way with their custom T-shirt launchers. 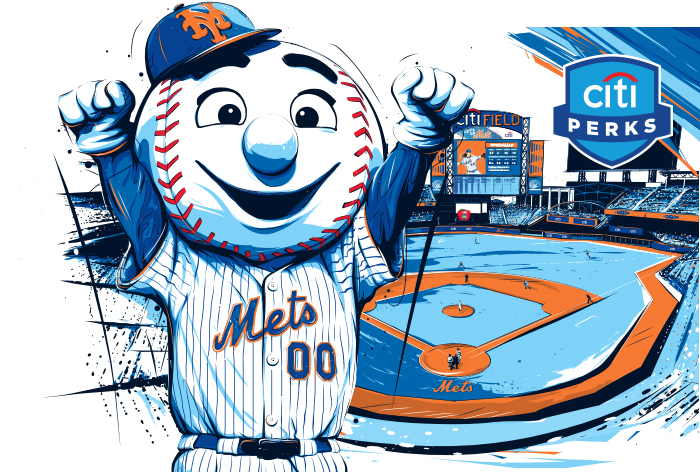 You voted for this Citi Perks T-shirt design, so now try and catch one at the next home game. 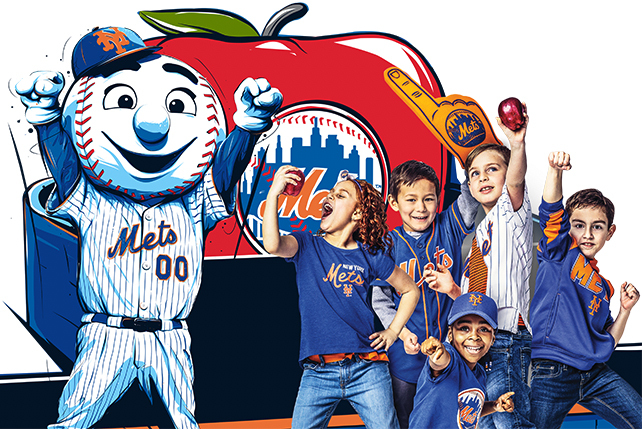 For every Mets home run hit at Citi Field, Citi will donate enough for No Kid Hungry to provide 20,000 meals to help end childhood hunger. Click here to learn more about No Kid Hungry. 6 million meals and counting since 2016. 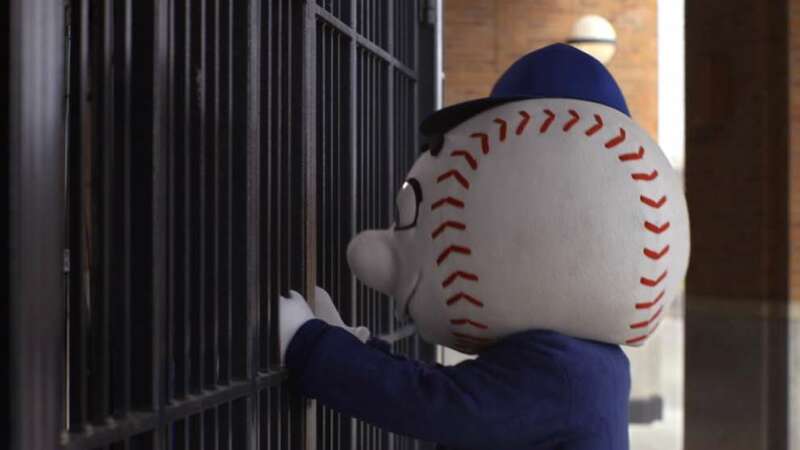 ©2018 Citibank, N.A. Citi, Citi and Arc Design and other marks used herein are service marks of Citigroup Inc. or its affiliates, used and registered throughout the world.